The cast of Freeform’s Shadowhunters was a big draw at the 2016 WonderCon held for the first time in downtown Los Angeles. Series stars Katherine McNamara (Clary Fray), Dominic Sherwood (Jace Wayland), Alberto Rosende (Simon), Emeraude Toubia (Isabelle Lightwood), Matthew Daddario (Alec Lightwood), Isaiah Mustafa (Luke Garroway), and Harry Shum Jr. (Magnus Bane) participated in a lively Q&A with fans and also took part in roundtable interviews to discuss the popular series which has earned a season two renewal. 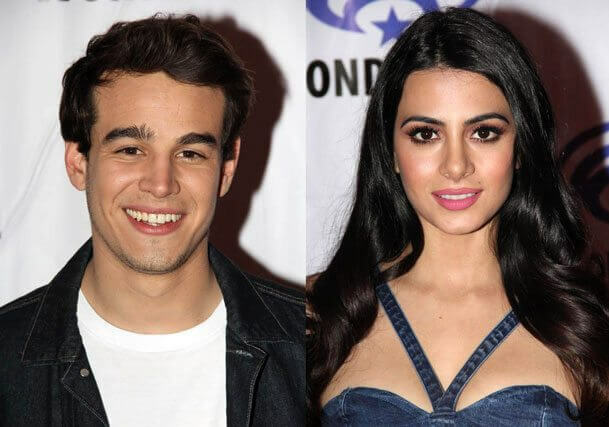 Shadowhunters is based on Cassandra Clare’s bestselling The Mortal Instruments and in our interview with Alberto Rosende and Emeraude Toubia, they talked about meeting with the author and how they’ve approached the roles of Simon and Isabelle. How difficult is it to do the action scenes in high heels and tight costumes? There’s a weight on your shoulders taking on characters that fans love and feel like they know. How does that feel as an actor taking that on? There was a great episode with the alternate universe. Can you talk about filming that? Have they given you a heads up about season two as far as what you can expect? Open it up as in…? What’s been your favorite fan reaction? It must have been really touching to receive that message. Were you both able to talk to Cassandra Clare? Was there anything in particular she told you that really helped you get into your characters? The scene where you realize you’re turning into a vampire is so moving. How did you approach that?